Northern Illinois University's Mikayla Voigt shoots against Bowling Green during the second half of the Horizon conference game Wednesday at the NIU Convocation Center on Jan. 20, 2016. NIU lost to Bowling Green, 43-58. 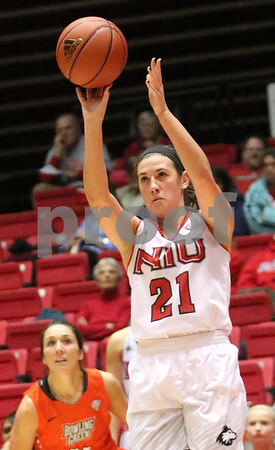 Voigt had 15 points in the Huskies' fifth straight loss.